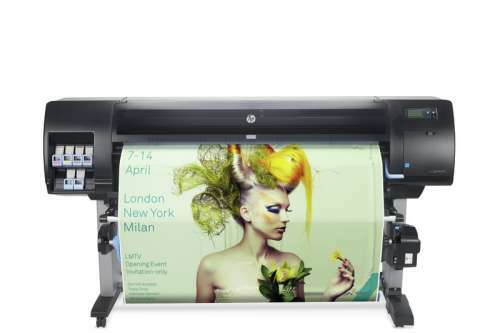 The Z6600 can reach printing speeds of 1500ft²/hr (140m²/hr) when using plain paper and fast mode, and 212ft²/hr (20m²/hr) with glossy paper in high-quality mode. Produce prints between 279 and 1524mm (11 – 60in) in size. 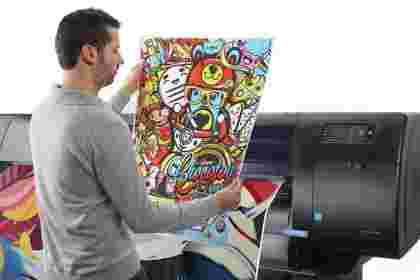 Suitable for a wide range of printing jobs, including photos, posters, signs, canvas and backlit prints. Thanks to the optimised configuration of the six-ink printing system, the Z6600 prints 30 per cent more efficiently than the Z6100 model. Automatic drop detection and intelligent reduce waste and cleaning - plus it ensures high image quality. The built-in take-up reel, 775-ml HP ink cartridges and heavy media rolls mean you don’t have to wait around for prints to finish – you can leave the printer unattended. The Z6600 is perfect for businesses that need to turn around their orders quickly, as it’s the fastest 60-inch production printer for graphics. Fast printing speeds can sometimes mean the image quality is impaired, but this is not true with this printer. The HP Optical Media Advance Sensor (OMAS) allows the printer to produce printers very quickly across numerous environmental conditions, as it improves accuracy and paper-advance control. Best of all, you needn’t wait around for your prints to finish, because the Z6600 is perfectly capable of printing error-free without human intervention. The Optical Drop Detector can identify failing nozzles and instruct the printer not to use these, preventing printing defects. After the print is complete, the printer performs recovery routines automatically to restore any failed nozzles. Whilst the three shades of black ink mean the printer can produce impressive black and white prints, its colour prints are just as stunning. 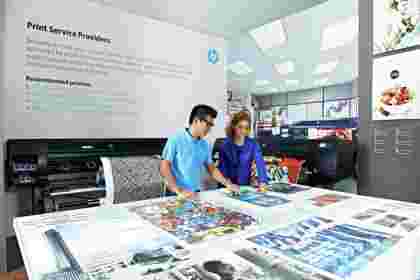 By using HP Vivid Photo Inks, you can create prints that last as long as 200 years. 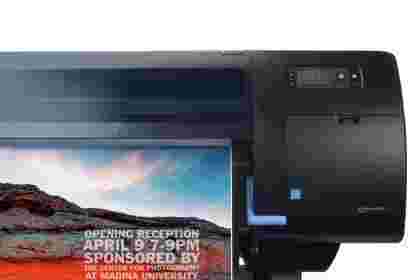 Use this printer to increase your offerings and produce retail POS, digital fine art, graphics for exhibitions and events, maps, line drawings, posters and much more. Choose to either print directly from your design editor, or a third party RIP. Boost your printing business by offering your customers more options and better quality prints whilst increasing your output efficiency. Test the Z6600 today for free, with no obligations. Try it out for a month to see if this printer is right for your businesses’ needs.